Roger Spottiswoode directs this feature film based on the true story that was adapted into the international bestselling autobiographical novel by James Bowen. 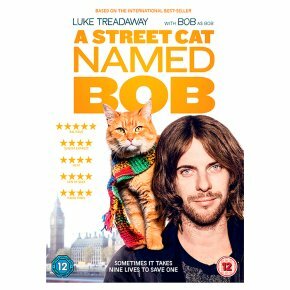 Luke Treadaway stars as James, a homeless man struggling with drug addiction and busking to get by on the streets of London. When James comes across an injured stray cat he nurses him back to health and names him Bob. They become inseparable and make for an unusual street music act. Bob's companionship inspires James to overcome his drug addiction and share his story. The cast also includes Joanne Froggatt, Anthony Head and Ruta Gedmintas.